With the new year just starting, urban decision-makers are planning their 2018 to-do lists, and resilience is the perfect place to start. In 2017, natural disasters stole the show, flooding the headlines and trending on social media. More than 40 million people were affected by floods in India, Bangladesh and Nepal, leaving some of the most populous cities completely underwater. In the United States, hurricanes Harvey and Irma were responsible for upwards of $200 billion in damages to buildings, vehicles and public infrastructure, posing significant challenges to economic hubs, like Miami and Houston. In San Juan, the most populous city in Puerto Rico, Hurricane Irma left nearly 70 percent of households without power causing an extended debt and bankruptcy crisis in the city. Local authorities estimate that there was between $45 to $95 billion in damages to the power grid and other infrastructure. In all, despite not being an El Niño year, 2017 was the second hottest year on record, trailing only 2016 as the hottest ever. It’s a grim trend for cities. When natural disasters hit, dense areas face considerable challenges, sometimes overwhelming emergency responders. The Intergovernmental Panel on Climate Change has recognized that climate change poses serious threats to urban infrastructure, the stability of resources in entire urban systems, and quality of life, with the potential to worsen inequality. Seeing as more than 2.5 billion more people will join the world’s urban population by 2050, addressing these challenges and building the climate resilience of cities is crucial and urgent. 2018 will feature major decision points for urban climate resilience. World Urban Forum 9 in Kuala Lumpur, Malaysia will bring together experts and decision makers to discuss implementing the New Urban Agenda, taking into consideration the necessity of creating urban resilience strategies to accelerate achieving Agenda 2030 and the Sustainable Development Goals. The Cities and Climate Change Science Conference in Edmonton, Canada is hosted by the IPCC and will gather international, urban and scientific organizations aiming to identify key research and knowledge gaps related to cities and climate change and catalyze a new generation of data at a local level. The conference will examine resilient urban development and transitioning to a low-carbon urban future. COP24 in Katowice, Poland, will be the perfect opportunity to find a way to link the results of these two important events. Researchers, academics, policy and decision makers will be able to join efforts and identify ways to bridge these gaps toward achieving more sustainable and resilient cities. Bridging knowledge gaps on adaptation in cities and informal settlements was a prominent topic of discussion at COP23. The Nairobi Work Programme, a mechanism under the convention created to support adaptation policies and practices, held its 11th Focal Point Forum, focusing on human settlements and adaptation. 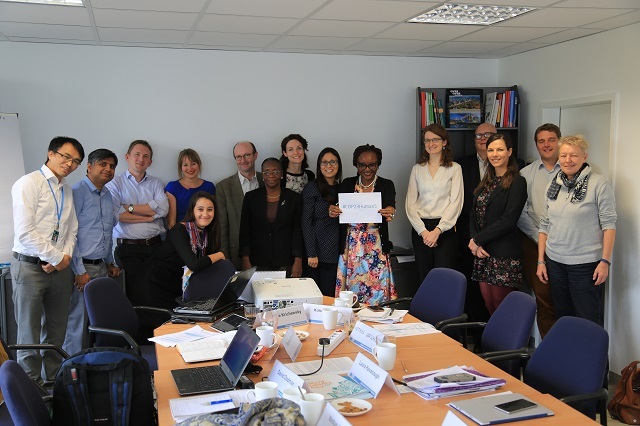 Experts and country representatives exchanged ideas and best practices for the world’s climate-vulnerable urban groups. During the forum, Aisa Kirabo Kacyira, UN assistant secretary-general and deputy executive director of UN-Habitat, highlighted the importance of not only increasing attention to urban climate resilience but of making high-quality data on human settlements more accessible to decision-makers. And not just additional data, but better and more useful data. Cities need a better understanding of the type of information that’s helpful – how to use it properly, how to engage with local communities and researchers, and what tools and methods are already available. Answering these questions on big data is crucial to raise the conversation to a higher level and create a shared understanding of next steps. 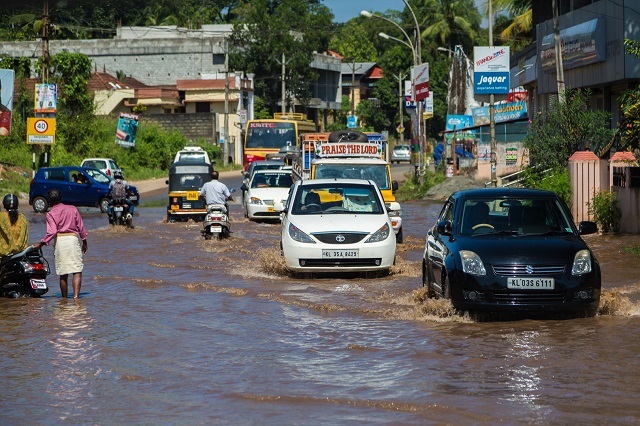 “Decision-makers in cities and human settlements need this knowledge to better adapt and reduce the risks posed by the adverse effects of climate change,” says Youssef Nassef, director of adaptation at UNFCCC. As the effects of climate change accumulate and ramp up, prioritizing resilience and adaptation in cities should be one of the most important action items for decision-makers – and a key element in achieving the Sustainable Development Goals. Arianna Flores Corral is a Climate Change, Education and Sustainable Development Fellow and Blog Manager for the Global Development Network in New Delhi, India. Pre-COP technical meeting for the 11th Focal Point Forum on Human Settlements and Adaptation. Photo by NWP/UNFCCC.